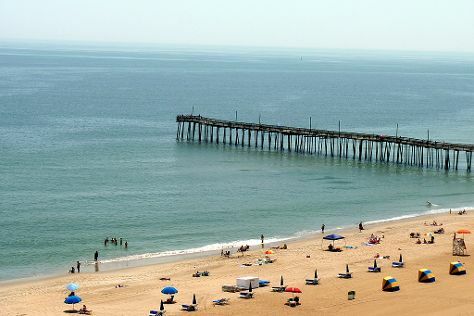 One of the country's favorite vacation resorts, Ocean City draws nearly 8 million visitors annually with its oceanfront boardwalk, clean beaches, and amusement parks. Kick off your visit on the 14th (Fri): take in the waterfront at Ocean City Boardwalk. Plan a trip to Ocean City easily and quickly by telling Inspirock to suggest an itinerary. Durham to Ocean City is an approximately 6.5-hour car ride. You can also do a combination of flight and shuttle; or do a combination of flight and bus. When traveling from Durham in June, plan for a bit cooler days in Ocean City, with highs around 79°F, while nights are about the same with lows around 65°F. Cap off your sightseeing on the 15th (Sat) early enough to go by car to Baltimore. On the 16th (Sun), meet the residents at National Aquarium, then admire all the interesting features of Oriole Park at Camden Yards, and then explore the striking landscape of Fort McHenry National Monument. To find traveler tips, more things to do, and other tourist information, read Baltimore day trip website . Getting from Ocean City to Baltimore by car takes about 3 hours. Other options: take a bus. Traveling from Ocean City in June, expect nights in Baltimore to be about the same, around 69°F, while days are a bit warmer, around 85°F. Wrap up your sightseeing on the 16th (Sun) early enough to drive to Sharpsburg. Sharpsburg is a town in Washington County, Maryland, United States, located approximately 13mi south of Hagerstown. Kick off your visit on the 17th (Mon): explore the striking landscape of Antietam National Battlefield. To find maps, more things to do, ratings, and other tourist information, use the Sharpsburg tour itinerary builder . Traveling by car from Baltimore to Sharpsburg takes 1.5 hours. Expect a bit cooler evenings in Sharpsburg when traveling from Baltimore in June, with lows around 61°F. Finish up your sightseeing early on the 17th (Mon) so you can go by car to Cumberland. Cumberland, officially the City of Cumberland, is a western gateway city and seat of Allegany County, Maryland, United States and the primary city of the Cumberland, MD-WV Metropolitan Statistical Area. On the 18th (Tue), admire the majestic nature at Rocky Gap State Park and then explore the landscape on two wheels at Great Allegheny Passage. To see traveler tips, maps, reviews, and more tourist information, use the Cumberland sightseeing planner . Traveling by car from Sharpsburg to Cumberland takes 1.5 hours. In June, daytime highs in Cumberland are 82°F, while nighttime lows are 61°F. Finish your sightseeing early on the 18th (Tue) to allow enough time to travel back home.